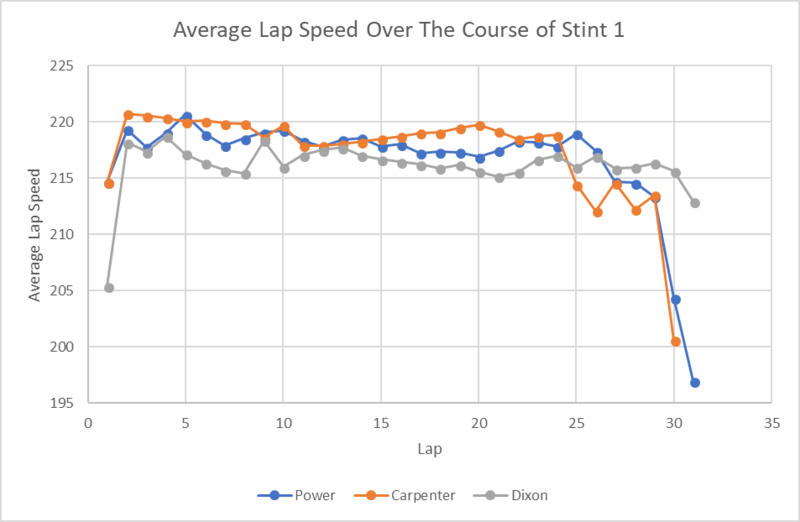 Since 1996, there have been an average of 8.1 cautions per race at the Indianapolis 500. 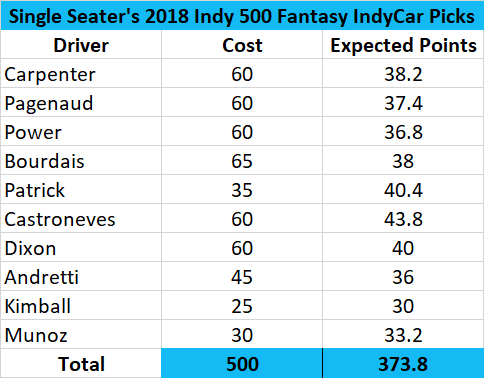 As far back as my data goes to 1979, there has never been an Indy 500 without a caution and I would bet there hasn’t been as long as the race has been around. It comes with the speed, length, and number of cars on the track. With 33 drivers racing at over 220 mph for 500 miles, cautions are bound to happen. But how many? There is a 14% chance we will see eight cautions at this year’s race, the most of any single number of cautions. Seven cautions is the second most likely outcome followed by nine. 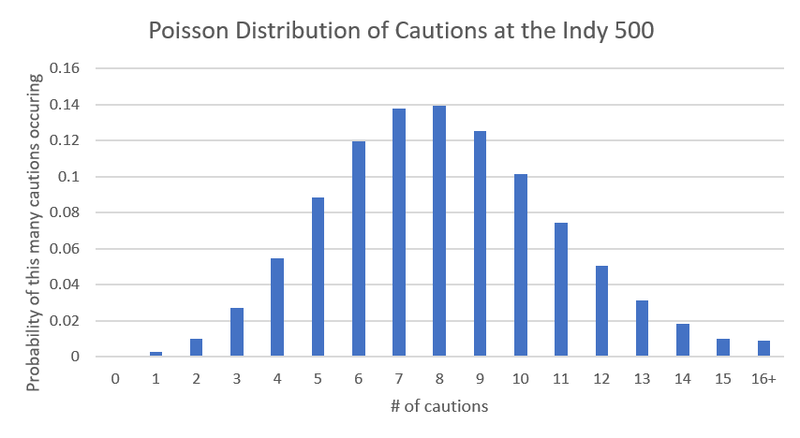 The distribution also shows there’s a 42% chance more than eight caution flags will wave and a 19.2% chance there will be more than ten. For all of the green flag enthusiasts out there, I have bad news for you. 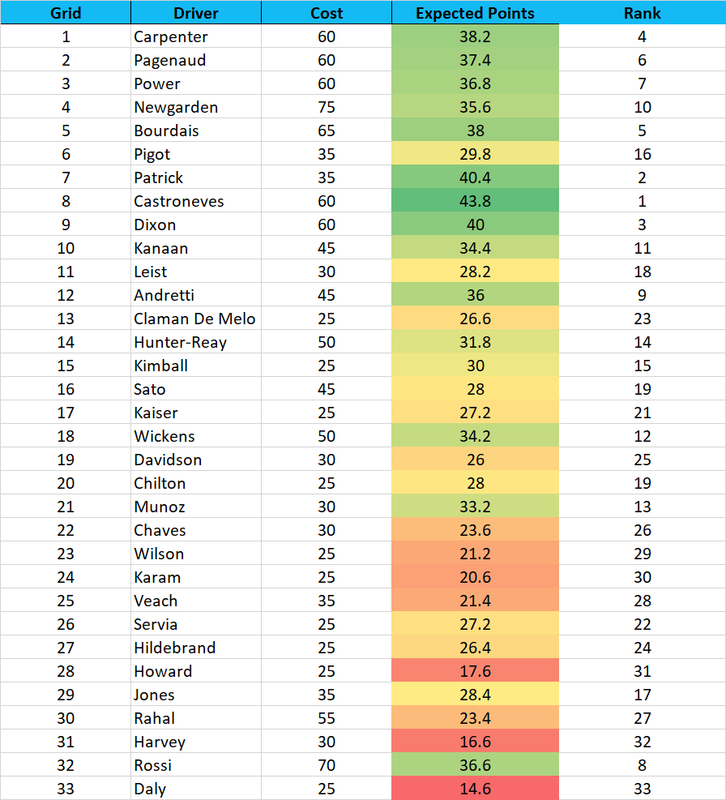 With a percentage chance of just 0.031%, it’s very unlikely there will be an all green race this Sunday.